David Cusack heads for home with the winning run as Keith Linnane awaits the throw. (Newburyport) He didn’t do everything….but he came awfully close. Who? Ryan O’Connor. 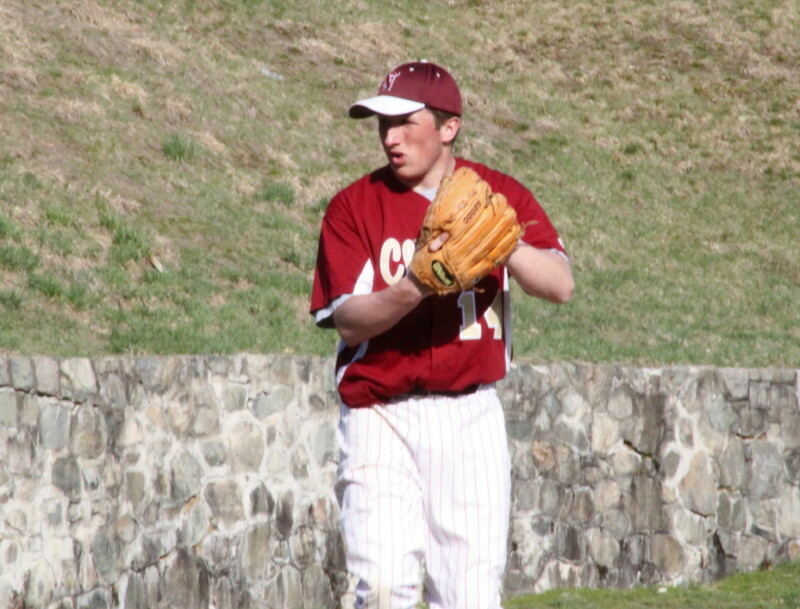 Newburyport (3-1) defeated North Reading, 4-3, as Ryan struck out thirteen Hornets and drove in the game-winner in the bottom of the seventh. A walk by Dave Cusack and a sacrifice bunt by Jim Conway put Ryan into position to end it for the Clippers. His grounder against reliever Ryley Warnock, in the hole between first and second, did the trick. With first base open you had to wonder why the Hornets opted to pitch to the other team’s cleanup hitter who already had two hits. But they did……and paid the price. North Reading (1-1) took a 3-1 lead in the top of the 5th on a 2-run blast over the fence in left center by Nick Moscaritolo. The Clippers tallied single runs in the 5th and 6th on misplays by the Hornets to draw even. In the 5th, a two-base throwing error by NR shortstop Chris Cincotta put David Cusack in scoring position and from there he was driven across by Brett Fontaine’s single to left. In the 6th, Colby Morris doubled down the third base line with one out and got to third on a fielder’s choice. 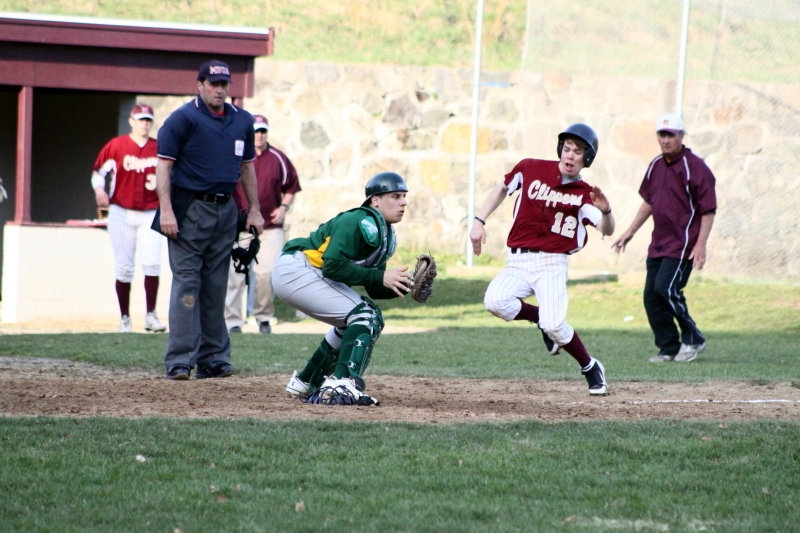 NR sophomore starter Ryan McAuliffe then tossed a 2-strike wild pitch that allowed Colby to tie the score at 3-3. The defensive play of the game was a diving catch by Hornet right fielder Chris Kavanaugh to rob Brett Fontaine in the 7th inning. 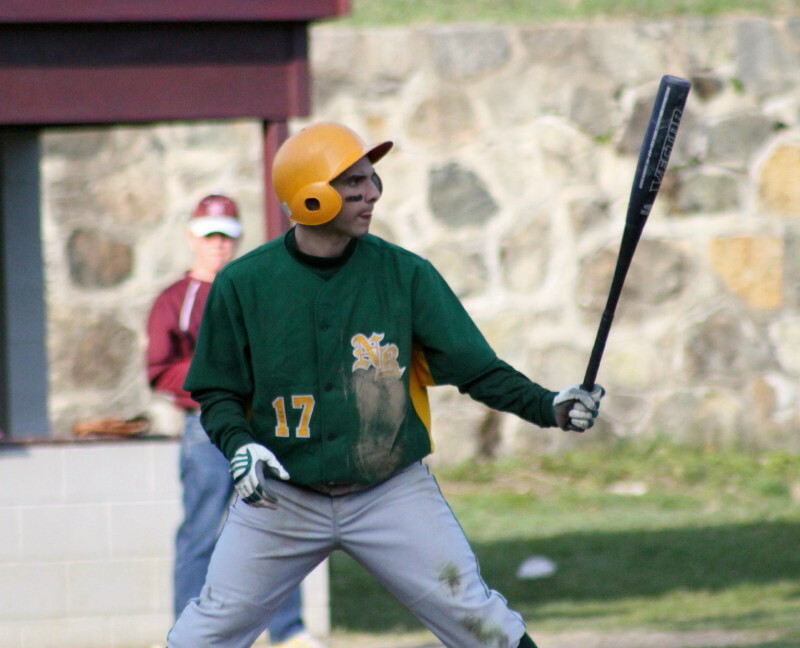 Eric Popp was 3-for-3 for North Reading, including a double off the right centerfield fence. He also scored a run. The Hornet’s top returning hitter (Ben Harrow) had a rough afternoon striking out three times to end innings and stranding five runners. The Clippers squandered a glorious chance with two outs in the 4th after they loaded the bases with a collection of hits and walks. Connor Wile then hit a laser toward short that might have driven in two runs but instead caught base runner Drew Carter in the leg to end the threat. 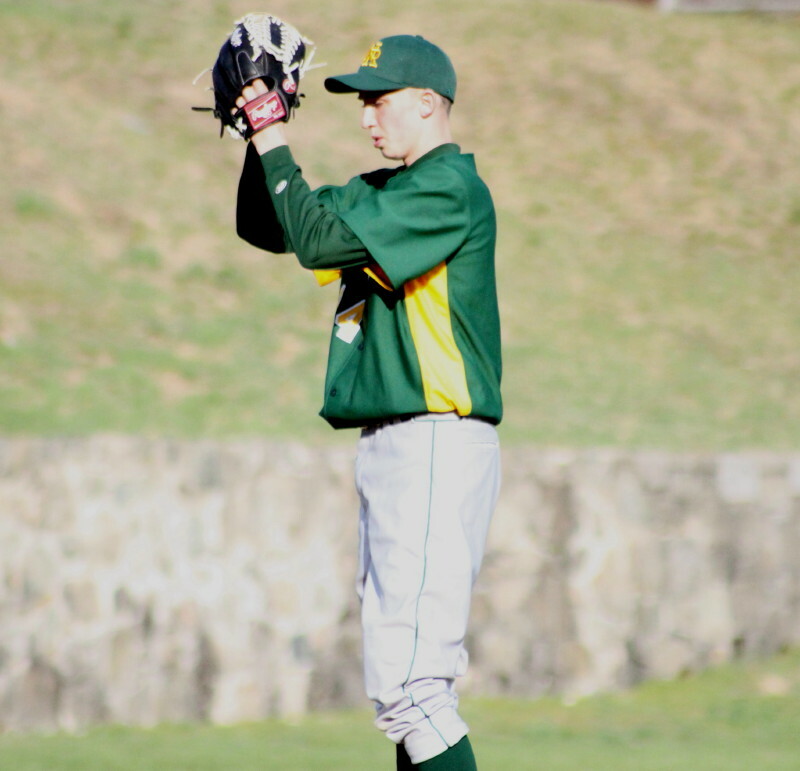 Ryan O’Connor struck out the side in the first inning and had at least one strikeout in every other inning. The lefty also struck out four of the last six batters he faced. 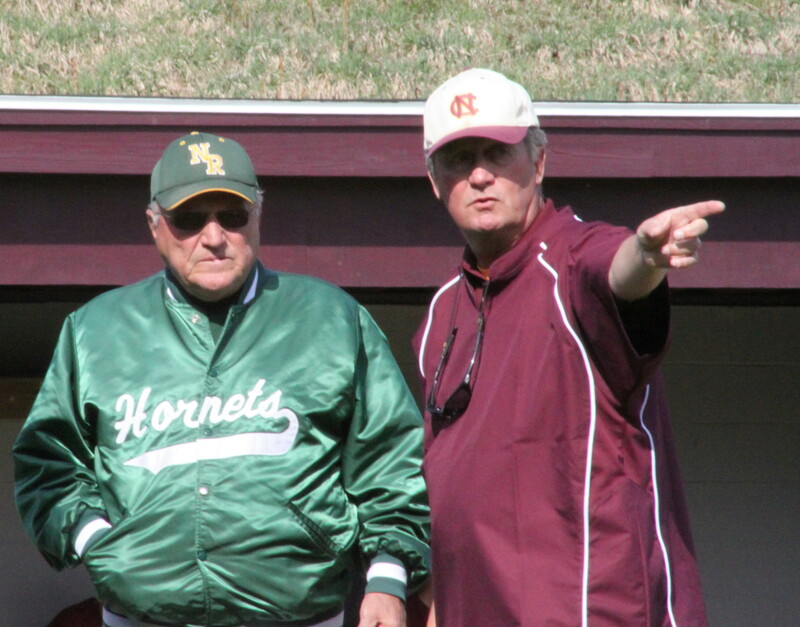 Experience was in abundance with NR coach Frank Carey (44th season) and Newburyport coach Bill Pettingell (40th season) directing the two teams.